Ponds are a great way to improve the look of your backyard, but they may scare away some homeowners for fear of the maintenance and upkeep associated. Ponds can either be naturally formed or manmade, but both may be affected by algae, falling leaves and the weather. To keep your pond clean, you should not only keep the pond area free of debris, but also look into treatment solutions or natural remedies such as algae-eating fish. Backyard ponds can be maintained by removing debris around the area and keeping up with algae growth. 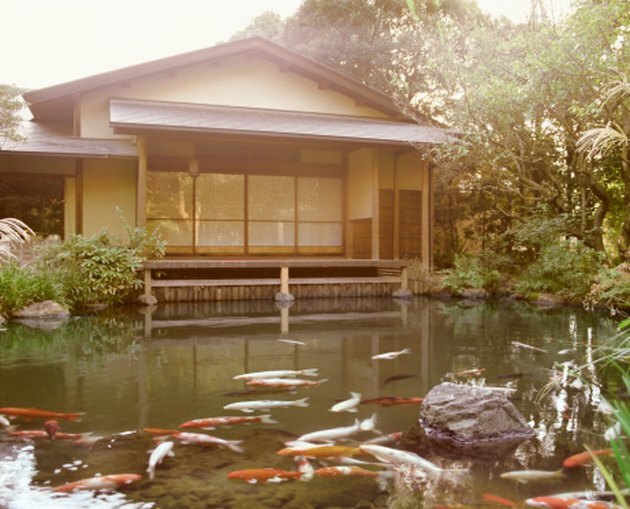 Maintain cleanliness around the backyard pond. Remove any leaves or other organic matter, such as berries or twigs, that have fallen in the pond, or any dead leaves that have come from plants inside the pond. Dead leaves may gather at the bottom of the pond or float on top. If there are several trees in the vicinity of the pond, and the leaves fall from those trees in the autumn, you may want to purchase some screens to place on top of the pond that will stop the leaves from falling into the water. Reduce algae in the pond. Adding plants such as water lilies to the pond will absorb nutrients that are developing in the water. Fish and scavengers also will eat algae, so having them inside the pond will help keep it clean. Pond cleaning companies will clean the algae from the pool for a fee, or you may purchase an algaecide and add it to the water. Read the instructions to determine how much algaecide should be added to clean the water, and check to make sure the product is safe not only for any living creatures inside the pond, but also for outdoor pets that may ingest the water. Purchase a pump for the pond. Pumps will help keep backyard ponds clean by circulating their water. Choose a pump based on the type of pond, such whether it's a garden pond or a fish pond, and the size of pond you have. Some pumps are submersible, while with others, the main structure sits outside the pond. If the pond has fish or structures such as waterfalls, you may need a larger pump. Add a waterfall or other water feature. Adding a source of continuous water flow will keep water inside the pond moving, and therefore reduce the chance for algae accumulation. 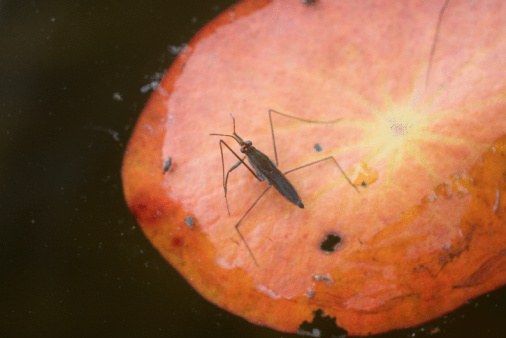 Stagnant water also is a breeding source for insects, including mosquitoes, which can spread viruses.